The piano trio format serves me not only as a sort of nourishment, but also as a form of reset device. Every couple of months I push back the larger ensemble discs and and pull out the most vibrant piano trio discs of the past year or so, put them on the stereo and listen to some jazz, straight, no chaser, for pure personal enjoyment, and to recalibate the ears. 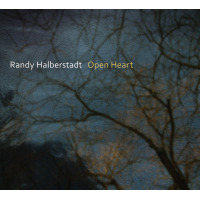 Seattle-based pianist Randy Halberstadt's Parallel Tracks, with its collective interaction and well-chosen standards mixed in with some obscure gems, and the leader's sometimes off-kilter eloquence and mainstream grace, is one of those recalibrators. Artie Shaw's "Moonray" opens the set, with Halberstadt sounding rather angular and sharp in front of the rhythm's bounce, drummer Gary Hobb's intricate textures, the tick and shimmer of his cymbal work. "Don't Forget the Poet" (Enrico Pieranunzi) explores a darkly beautiful ballad, with an engrossing bass turn by Jeff Johnson. Sometimestoo oftenthe bass man stepping out front causes a distraction, a breaking of the mood; but Johnson's fluid eloquence of artculation in front of Halberstadt's concise comping and Hobb's subtle, orchestral textures serves as an enhancement, fully integrated into the theme of the song. The wistful ballad "In the Wee Small Hours of the Morning" is done here with a straightforward spareness, allowing the undilluted loveliness of the melody to take center stage. Monk's "Well You Needn't," on the other hand, starts out reverent and up-tempo, with an exaggerated stop time, before it melts into a loose abstraction of the tuneand listen to Gary Hobbs' constant high-end simmer, anchored by the occasional lower end rolling boil. Add to these fresh takes on Ray Noble's "The Touch of Your Lips," Bill Evans' "B Minor Waltz," and Cole Porter's "Everything I Love," and you've got a recalibrator of the highest order, in a league with Brad Mehldau's Anything Goes (Warner Brothers, '04) and Keith Jarrett's Up for It (ECM, '03). 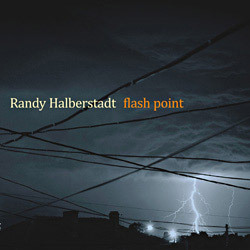 Visit Randy Halberstadt online at www.randyhalberstadt.com .